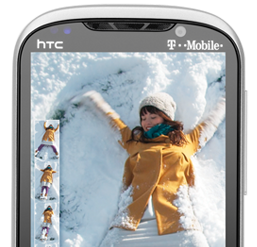 Attention HTC Amaze 4G owners, T-Mobile has an update ready for you. And, yes, it’s Android 4.0. The upgrade to Ice Cream Sandwich can be pulled from the HTC Software Updates dialog under Settings and brings about all the enhancements you might expect from a move to the latest Android OS> The new software is pretty similar to that released for the HTC Sensation 4G last week and features Sense 3.6 as opposed to Sense 4, which features on HTC’s recent ICS models such as the HTC One X. Despite keeping an older version of HTC’s custom interface, the Amaze 4G is expected to take advantage of the performance increases inherent in Android 4.0. You’ll need at least 50 percent battery to initiate the update and a WiFi connection is recommended due to the large download size.